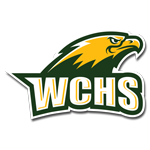 Fall sports practice will begin Monday at WCHS. Please contact your coach for times and location. You must have a current physical, concussion paperwork signed, as well as other paperwork. This packet can be found in the FORMS section of the Wilkes Central Athletics website. For additional information contact Athletic Director Jeff Savage at 336-903-4812.